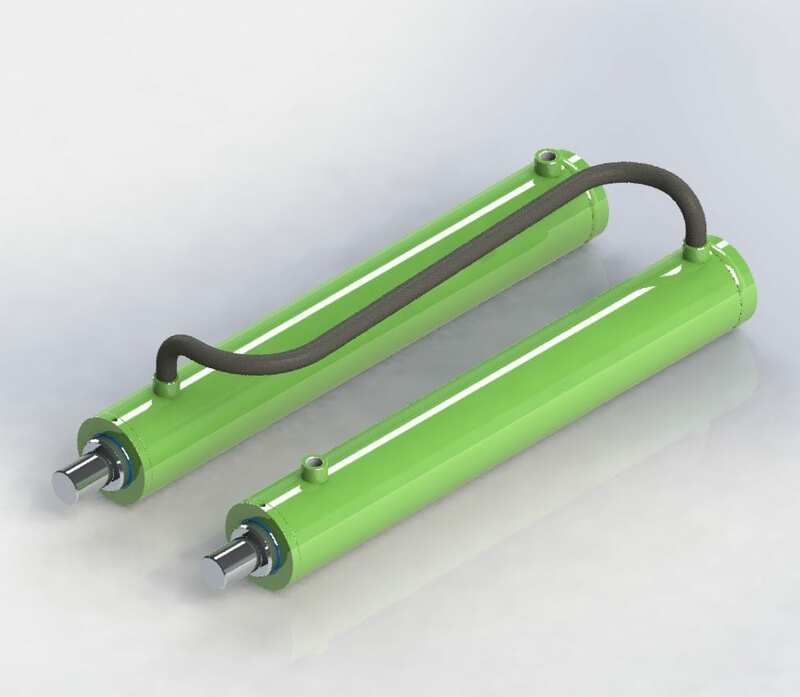 Master/Slave Cylinders – With this configuration one cylinder, the master cylinder, is used to drive a number of slave cylinders in sequence, the result is from only one input a number of cylinders will extend and retract simultaneously. This all works by matching annulus to full bore volumes and transferring oil from one cylinder to the next. A hydraulic service line is connected to the full bore of the master cylinder, the rod side of the master cylinder is connected to the full bore of slave cylinder number 1, the rod side of slave cylinder number 1 is then connected to the full bore of slave cylinder number 2 and so on until the last cylinder in the sequence is reached where the rod side is connected back to tank. 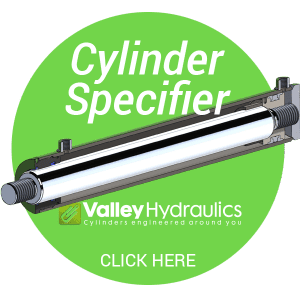 All cylinders are then primed using internal valves so that every cylinder is in its fully retracted state with the annulus areas filled with trapped oil. The volume of oil in the rod side of each cylinder is identically matched to the volume of oil required to extend the full bore of the next cylinder in the sequence. This means when the master cylinder is extended the dormant trapped oil in the rod side of each cylinder is transferred to the full bore of the next cylinder in the sequence which extends the next cylinder, therefore all cylinders extend together. The cylinders also retract together when oil is sent to the annulus of the last cylinder in sequence, this transfers all of the dormant trapped oil in the full bore of each cylinder back to the rod side of the next cylinder in sequence, therefore retracting all cylinders from a single input.